Jim Mero was a fantastic C5-C7 Corvette test driver and a Chassis Engineer too. He retired last year, and has been super busy, coming up with a retro-Fit C6 improved MSRC program. Guaranteed to work. Maybe capable of being done on your C6 at NCM during the 25th Anniversary Celebration (end of August Caravan). 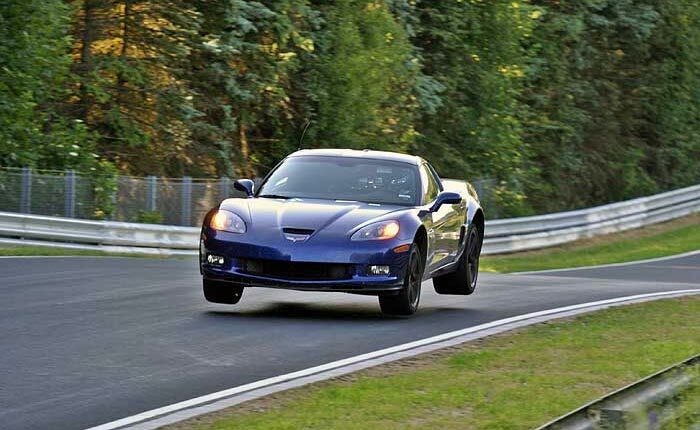 Thanks to CorvetteBlogger for this exciting information for great handling improvements for your C6. 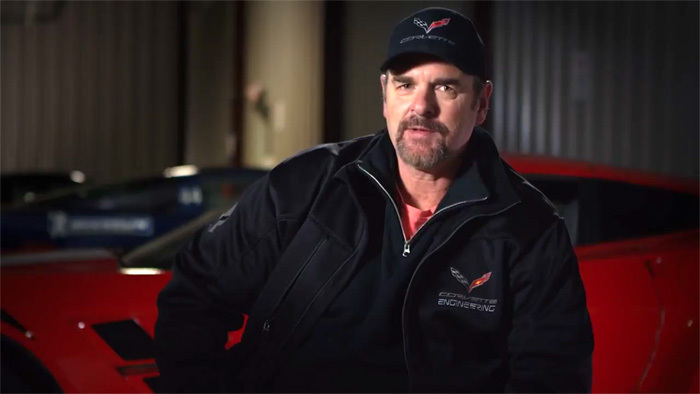 Many Corvette enthusiasts know Jim Mero as the man who test drove new Corvettes on the Nurburgring. As the Corvette team’s engineer for ride and handling, Mero was instrumental in developing 13 different chassis packages for the C6 and C7 Corvettes that were tested at the “Green Hell”. Mero retired in 2018 after 34 years at GM and now the civilian has hung out his shingle and is offering to share his knowledge and expertise in improving the ride and handling of 2009-2013 Corvettes. While at GM, one of Mero’s last projects was working with the C7 Corvette ZR1 and during its testing, he found that he could make a change to the programming of the Corvette’s Magnetic Selective Ride Control (MRC) shocks that not only improved track performance but also the ride quality in Tour and Sport modes. The result was so revolutionary that the Corvette Team offered the upgrades to any C7 Corvette owner with Magnetic shocks by having the controller reflashed at Chevy dealerships. 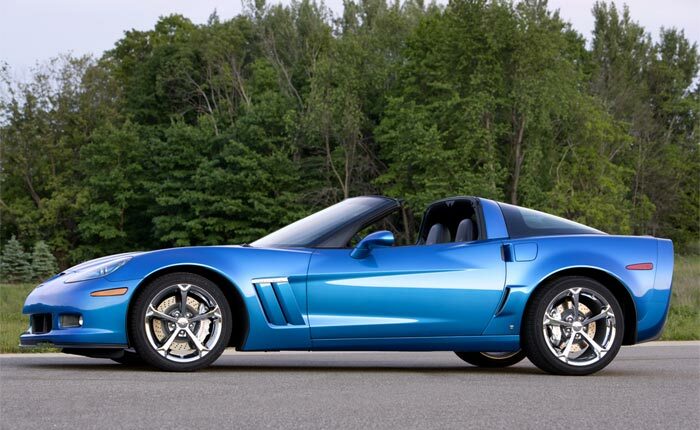 With the results of the C7 upgrades in hand and after hearing from C7 owners about how much the upgrades improved their car’s handling, Jim has set his sights on creating new calibrations for 2009-2013 C6 Corvettes owners with MRC shocks. The 6th generation car has 2 MRC modes indicated; Tour and Sport. The MRC selection switch should have been labeled Tour and Track, because that’s exactly how they were tuned. The C7 has a three-mode switch; Tour, Sport, and Track. The Sport mode has about 150% to 200% more damping than the Tour Mode. The Track mode, depending on the algorithm, has anywhere between 200% to 500% more damping than the Sport mode. These increases, for the most part, also apply on the C6 when considering the Sport mode is, in reality, a Track mode. The amount of damping between Tour and Sport (Track) can range from 300% to 700%. This amount of damping for a customer who does not track their car dramatically exceeds the desired amount for a “true” Sport mode by a factor of about 300% to 450%. Because I don’t have access to all models on the track, the new calibrations will include a new and major improved Tour mode and a “true” Sport mode which would perform like the 7th generation Sport mode. Thus, if you track your car, at this time, the upgrades would not apply. New track modes are not out of the question in the future, the logistics of are complicated and would have to be worked out. 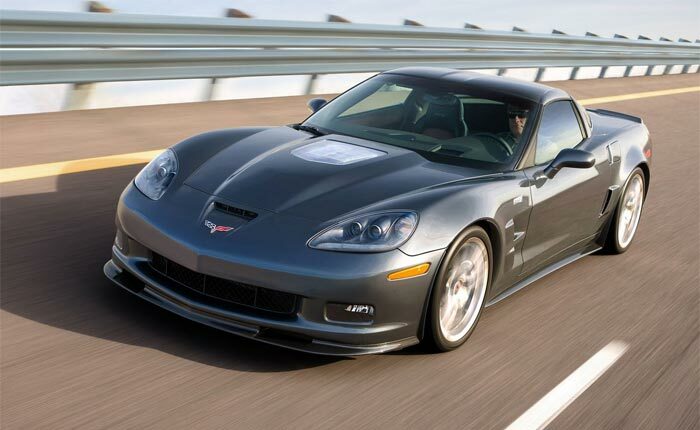 What will the new MRC Calibrations do for a C6 Corvette? Major Improvements in impact isolation and integration – Impacts are softer, and less harsh. When the vehicle does encounter rough roads, the structural feel is greatly improved. Major improvements in ride motions at all speeds. Much more balanced and less abrupt. The car is more poised in compression and rebound, resulting in a flatter ride. This is not implying stiffer body motions, but the vehicle exhibits more a more composed ride. Parking lot and low speed (25mph and less) the ride motions are more compliant and less jarring. Handling is more responsive and much more precise. The response of the vehicle is more exact reacting to driver steering inputs. The improvements for all listed below will be light years better than the improvements in the C7 because the Sport mode in the C6 is actually a Track calibration. Sport mode has major improvements in Impact isolation and integration. With these new improvements the impact isolation and integration is better than the Tour mode with the original production calibrations. Impacts are softer, and less harsh. When the vehicle does encounter rough roads, the structural feel is greatly improved. Major improvements in ride motions at all speeds. Much more balanced and less abrupt. The car is more poised in compression and rebound, resulting in a flatter ride. The Sport mode exhibits significantly more body motion control that Tour. Handling is more responsive and much more precise. The response of the vehicle is more exact responding to the driver steering inputs weather using Sport mode as a daily driver, or carving through a mountain road. Jim tells us that his plan is to roll out the new calibrations for 2009-2013 Corvettes with Magnetic Ride Control shocks during the summer of 2019. The upgrade is expected to cost $325 plus any necessary shipping and insurance. Jim is so confident in the changes for C6 Corvette owners that he is offering a 100% money-back guarantee for the upgrades. You will be able to order a new controller with the MRC upgrades already programmed. There will be a $600 core charge (refundable) but the good news is that you will have the ability to try the new calibrations before sending your original controller back to Jim for the Core charge refund. As Mero splits his time with summers in Goodrich, MI, and winters in Myrtle Beach, SC, he can flash the controller through the ODBII port directly. Jim may also be attending several of the Corvette shows like the NCM Bash or Corvettes at Carlisle and owners would be able to have their cars programmed at the show. Jim is currently ramping up this project with a new website coming to support it. In the meantime, for those interested in having your C6 Corvette MRC upgraded, we suggest checking out his facebook page Jim Mero Vehicle Dynamics LLC or you can email him at jimmero704@gmail.com. Last edited by John; 04-14-2019, 12:16 PM. Super improvement for someone who loves and who is going to keep their C6. so a 2006 with mrc will not be in the upgrade then.